thankfully someone did ask for this, so I get to have a bit of a “phone it in” day today. equally brilliant if not even better than the previously posted “!Quilombo!”, the awesome title-track from which also leads off this opus. Subscribe to comments with RSS	or TrackBack to 'Steroid Maximus – “Gondwanaland”'. Thanks for posting this, this particular genre is new to me and I’m definitely liking it. glad to hear it. I’d almost consider Thirlwell a genre unto himself to be honest. 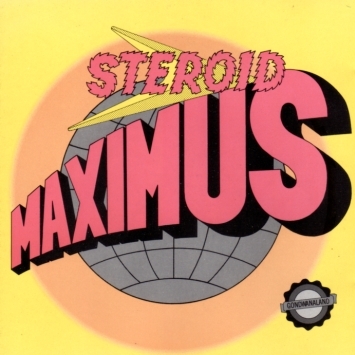 Thanks for the Steroid Maximus albums! I got burned out on Thirlwell around 1990, so I missed these the first time around, but I’m liking them a lot now. glad you enjoyed. I’ll have to go exploring your blog in the near future as well. for the meantime, I’ve linked you up in my sidebar. cheers! Thank you, I have done the same. I look forward to finding more great music here!